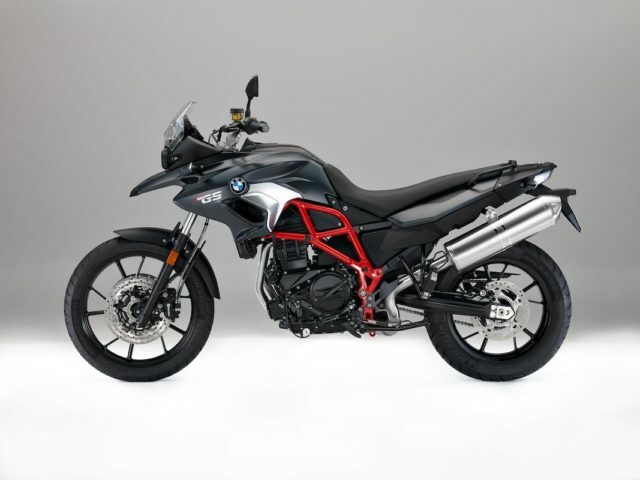 The autumn fairs have presented to bike lovers the updated versions and new models destined to invade the market. 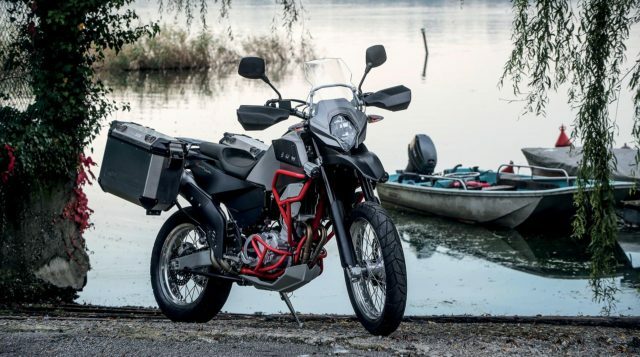 Scooter, sports, new classics, naked, off-road…and obviously tourers and crossovers. This short report, made for the visitors of our website, is dedicated to these last categories. 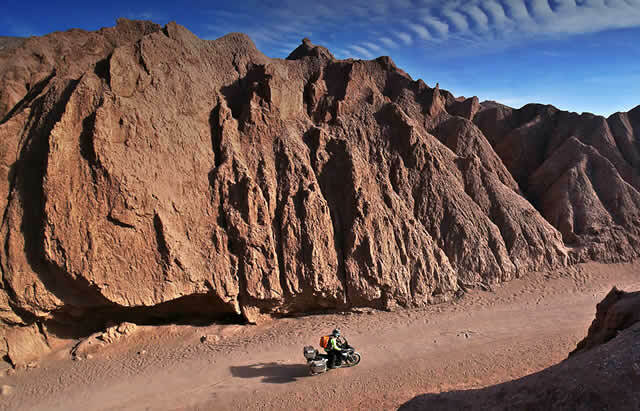 Thanks to companies like GIVI “tourer bikes” is a definition that today has a wider meaning than in the past… Still keeping the differences between the adventure tour (which requires a vehicle studied to face various on-and off-road situations) and the comfortable road holiday. Following this “expanded philosophy” we inserted in the list some outsiders, eager to be tested with cases, bags, windscreens and various accessories. For more in-depth technical data you can visit the manufacturers’ websites. The crossover from Munich, 2017 version, has undergone minor changes. Now it’s EURO 4 type approved, update that has allowed BMW to add 5CV more to the engine. More comfortable ride and wider range of colours. Among the small changes, the rack now can sustain a greater weight (10kg). 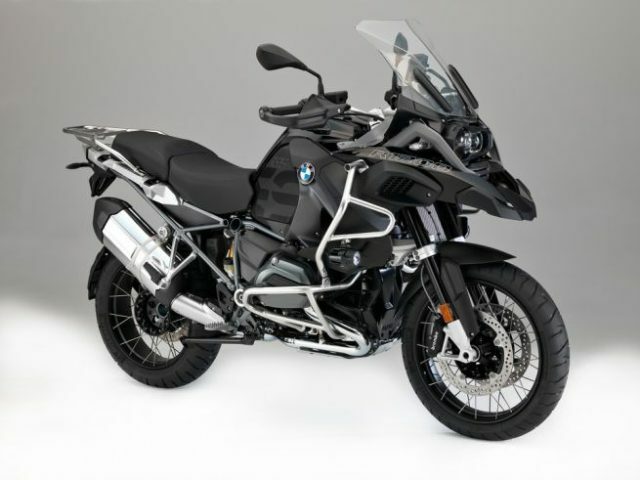 BMW’s flagship bikes for long trips have seen some technical updates (GS); a new control panel (ADV), new colours (among which the long awaited Triple Black) and a very manageable ABS, called PRO, that can control these big bikes even during sudden breaks on curves. 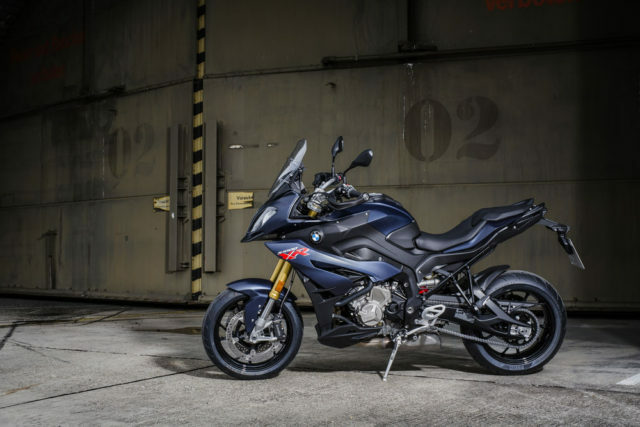 BMW’s 6-cylinder has a series of electronically adjustable suspensions; EURO 4 type-approved. Restyling for these two enduros, which now look at a more ample audience, including women thanks to the sophisticated management of the saddle. Versatile both on and off road (with a predisposition for dirt tracks in the Adventures versions) with implemented riding styles (on dry or wet ground), they offer new colours and are Euro 4 type-approved. Available from February 2017. 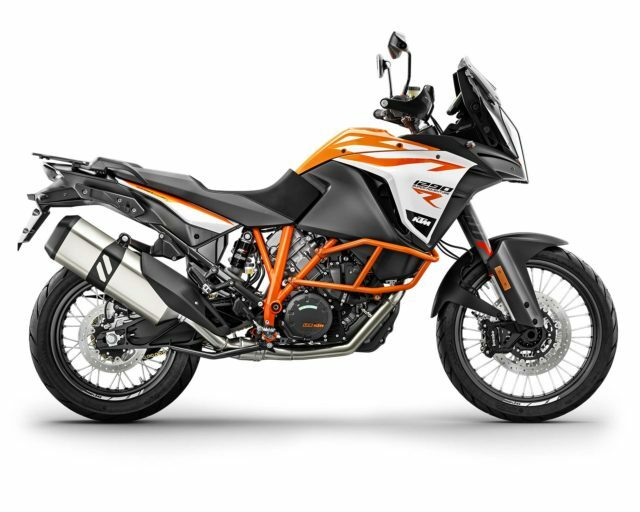 Following the 1200 and the Enduro version the 950 arrives at Eicma 2016. 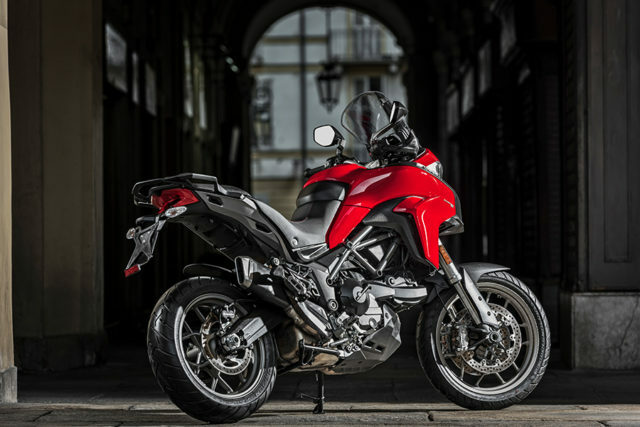 The most compact Multistrada of the range, available in 2 colours and with a particularly large and comfortable handlebar. Its Testastretta is Euro 4 type-approved and delivers 950 CV at 9,000 rounds. Abs and Traction Control are standard. Destined to road touring for couples. An old-style naked with which to play with cases, soft bags and windscreen to transform it into a sport/tourer. The bike is very elegant and the 4 cylinders in the centre its focal point. 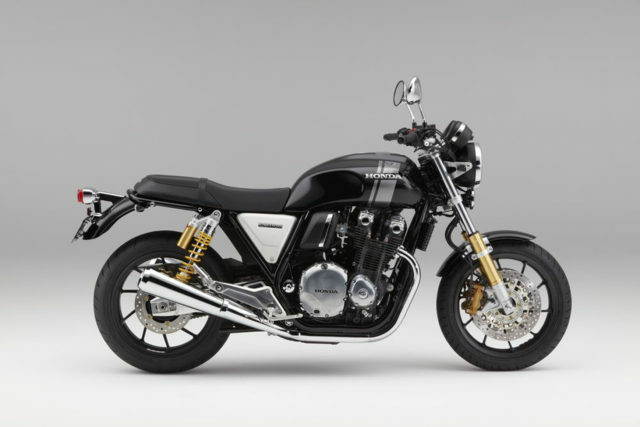 There are two versions, seen that Honda re-proposes the EX with new details to make it even more classic like the chrome mud guards, the wire-spoked wheels, the double control panel. Bikes to equip with the right cases to then leave with no destination. Euro 4, available from March 2017. Slightly greater cylinder capacity but a lot more horsepower and in general a lot of details have been revisited. The “R” is for lovers of knobby tyres, with suspensions with a greater excursion and 21” and 18” wheels (wire-spoked in the “R” version). Foot rests, handlebars and windscreen are adjustable. The Adventure R will arrive in March. Also this cylinder capacity is now proposed in two new set-ups. 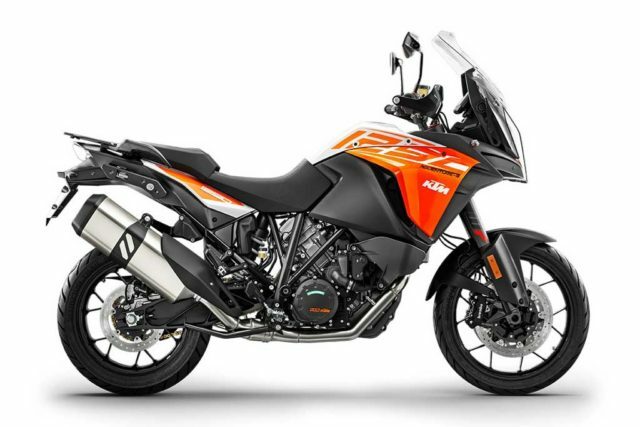 The “R”, as before, is for the more off-road version, the “S” is for the one more inclined towards the road and has spoked wheels, a new set of lights and different front. Rich standard equipment, especially regarding the geometry of the bike. Also the “R” defends itself, with long-extension WP suspensions, 21” wheel and a lot of electronics for off-road lovers. The tank capacity of these KTMs is 23 litres. Available from March. Pure-breed sport tourer which has been worked on from both sides to improve it in the most balanced possible way. For tourism there is a wider spoiler and powerful lights. 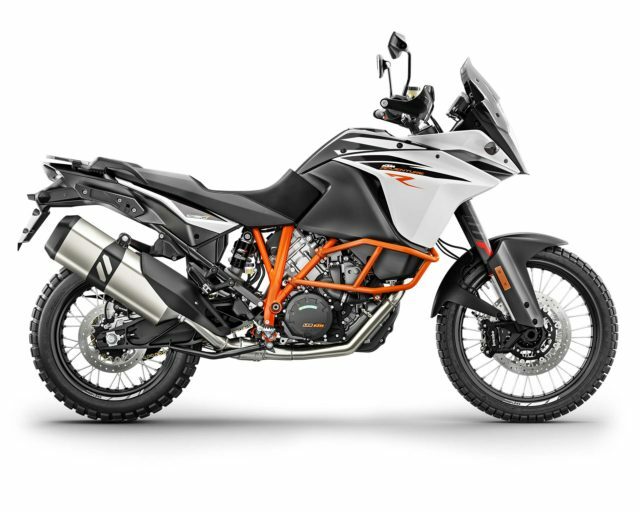 The tank holds 19 litres, assisted start (convenient when you have to start the bike uphill, possibly with a passenger and luggage). Great anticipation for the 4 cylinder My 2017. 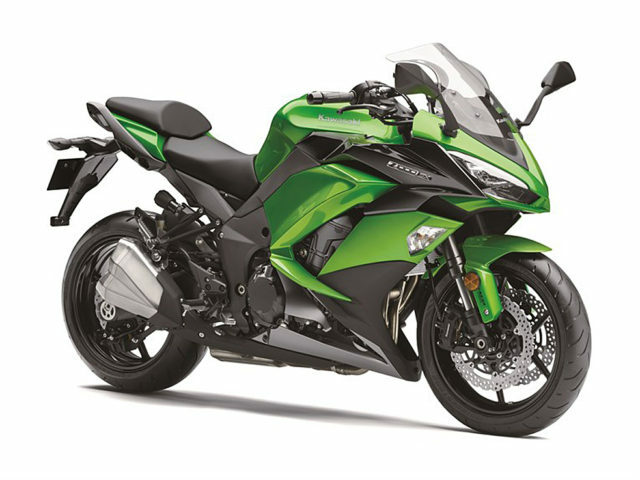 Great at clocking up miles, Versys 1000 brings new colours, updated equipment and sensitive interventions to the motor and cycles. 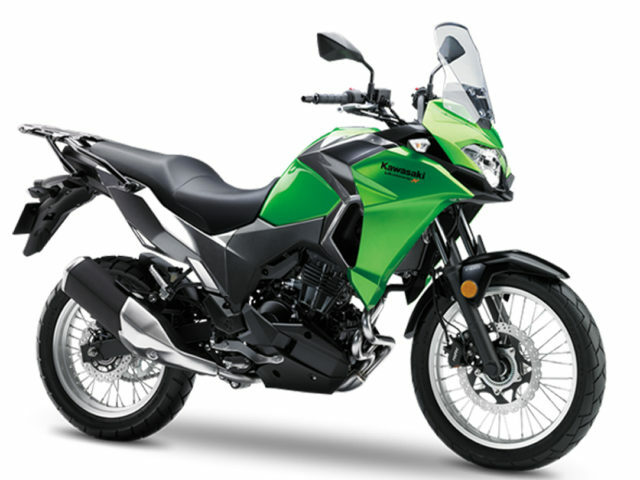 True novelty is the little tourer by Kawasaki, an entry level that will allow for “light” tourism with a twin-cylinder from 296 cc. interesting note: with a full tank you will run 400 km. 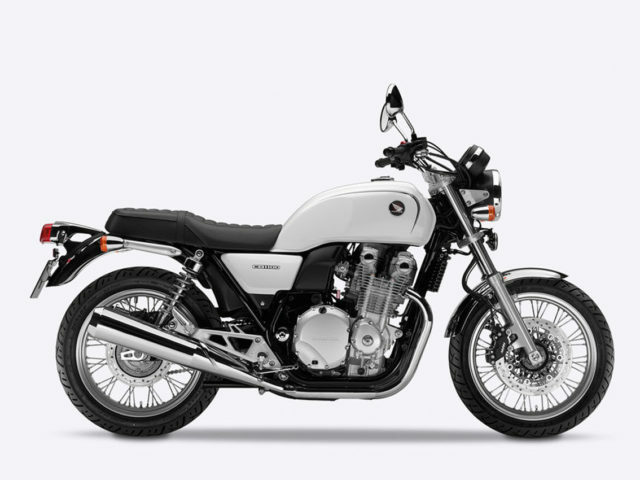 Softer than a Bobber, seems more inclined to become a tourer, given the cruiser style it carries, equipped just like the Nevada 750 was for decades. 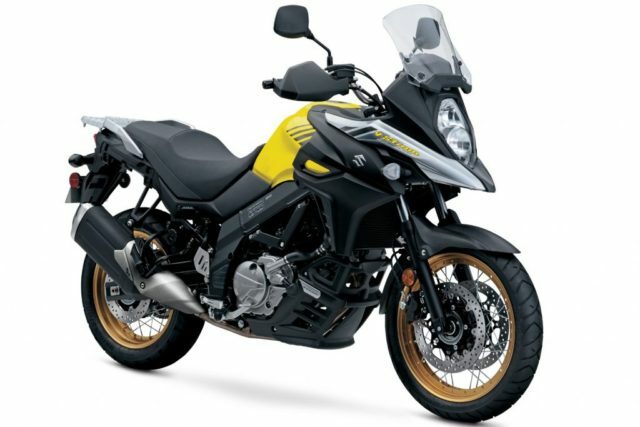 An 850 cc motor, white and yellow colours. Approval euro 4. The 2017 version is definitely “tourism-like”. 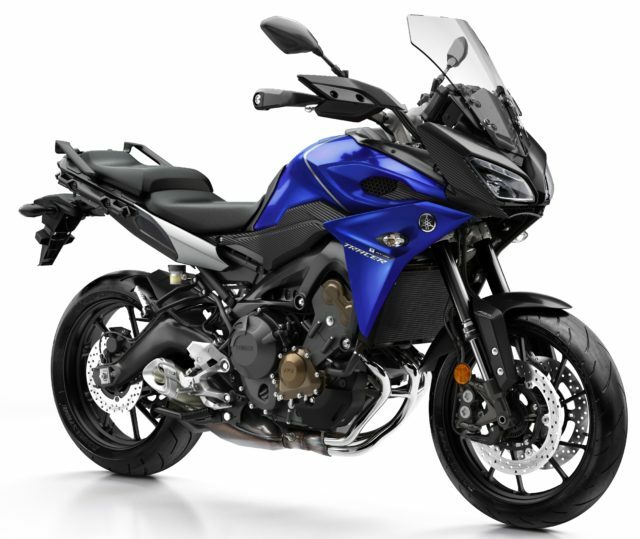 Very well thought and extremely accessorized series, with an integrated passenger back rest and handlebar. 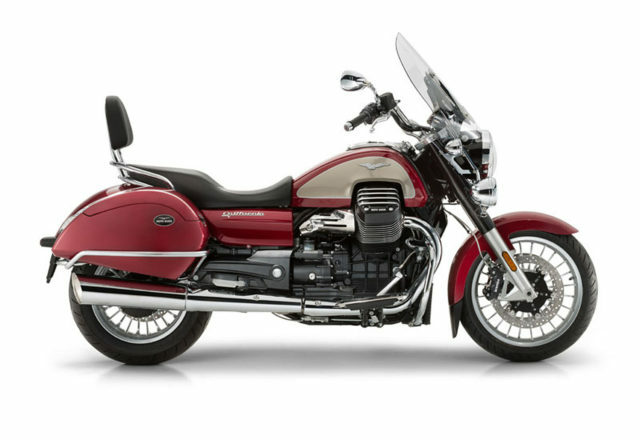 The motor becomes euro type 4.The California is an iconic bike and its actualization maintains an exemplary imprinting. In the east it is bought and rented by bikers from all over the world. It is an historic label, always present at international bike fairs with a different gear as seen at Intermot and EICMA this year. This new model is full of adventure. 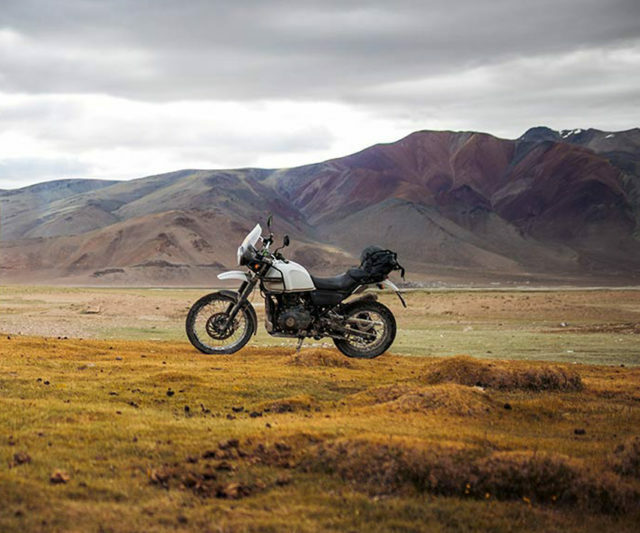 The motor has been challenging Himalayan roads for decades and like no other. 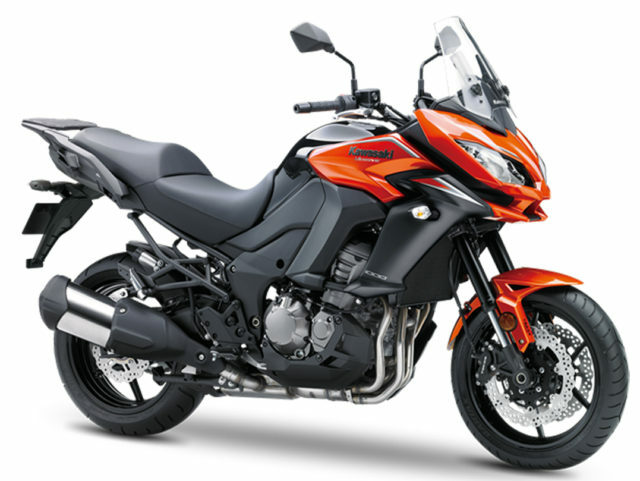 It’s LS 410 (its cylinder capacity), you ride it like a off-road on paths and comes in two colours. It lifts quite high from the ground so as not to touch the grounds’ roughness but it is enough to apply a carter protector to be sure. 450 kms with 15 litres in its tank. 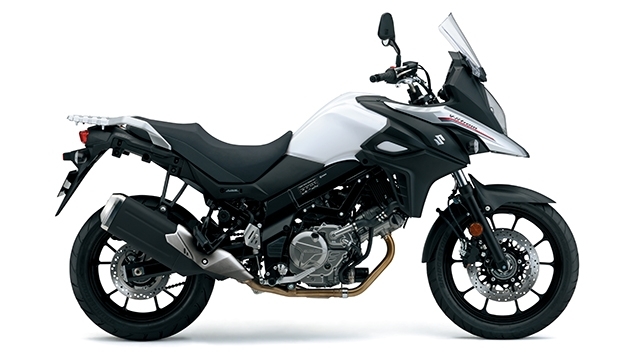 Always more beautiful and “crossover” the highly successful medium cylinder capacity by Suzuki. 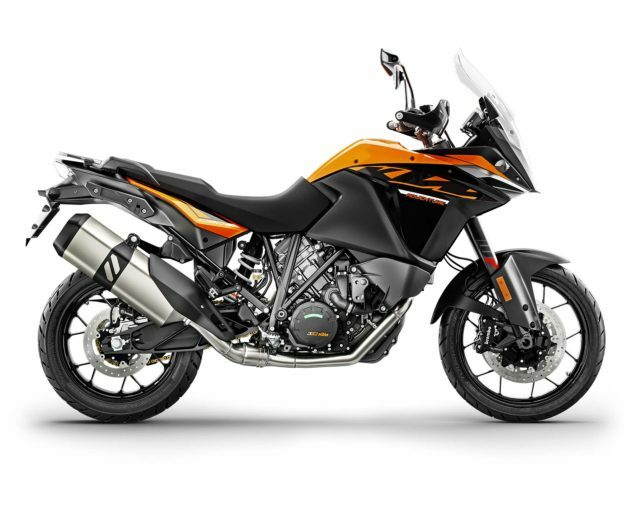 This house too proposed a double street version, which presents a smaller V-Strom even in enduro asset: spoked wheels, hand guards and engine guard in light alloy. In both cases the motor has been revised, now euro type 4, and with exhaust pipe. Traction control is included, here on two levels. Compact design, new back tail (XT available from February). 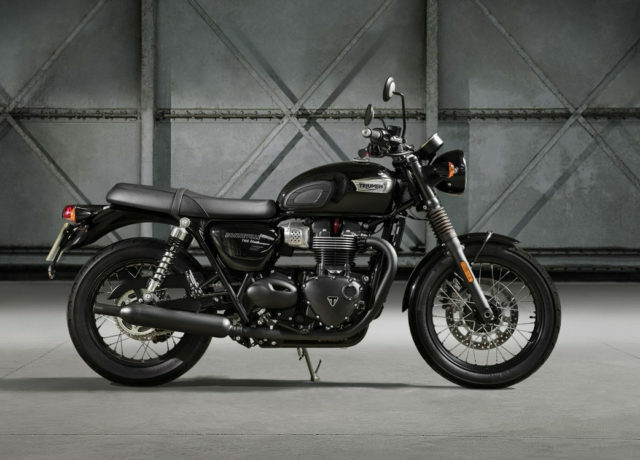 Two new looks for the elder sister, same aesthetic choices and up-grade EURO type 4 available on the 650 adding a sophisticated touch and a inertial platform (which here debuts) which controls the ABS. 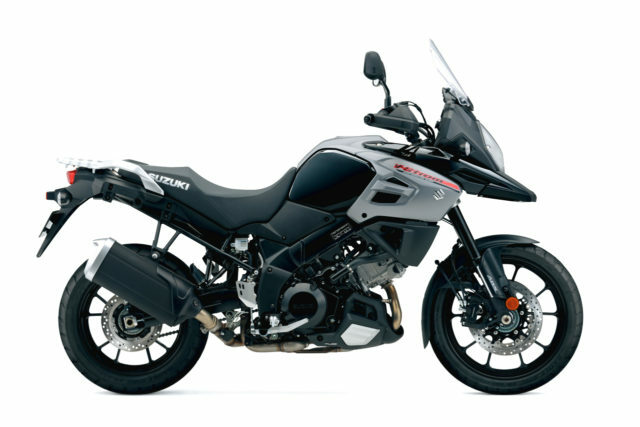 The entire V-Strom line uses the same tank, with a capacity of 20 litres. The 1000 standard arrives in March, the XT in May. 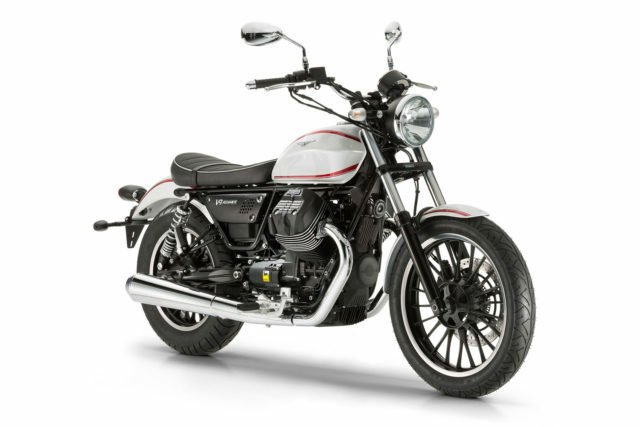 Here’s the new mono by an Italian brand. As you can see it is suitable for tourism and equipped to travel off-road. 57 CV, Euro 4, alloy wheels, 19 ‘’ front wheel, hand guard, engine guard, and carter protector are all standard. On the market from the beginning of 2017. The true “classic”, many people have entrusted their own lives to it in the streets that have taken them all around the world. 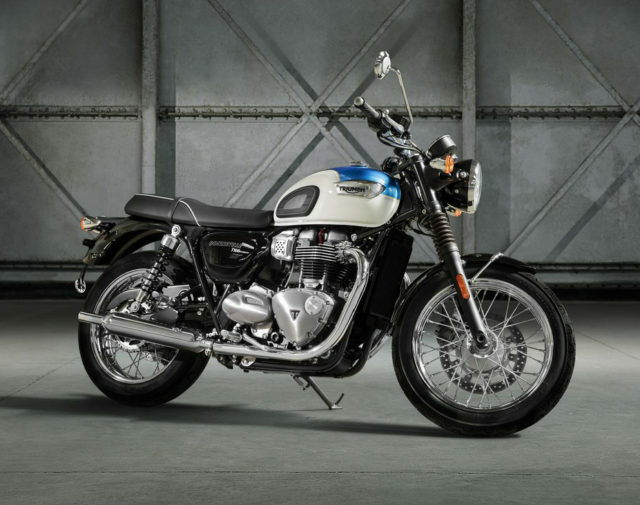 A thin bike but easily personalized with bags which do not distort its soul, Bonneville 2017 is unmistakeable (produced also detuned). Three new colours (the other one is obviously black). Compared to the past we find better suspensions and frame. The engine pulls more and consumes less. ABS and Traction Control also in place. Two new colours for 2017: Blue and Tech Black. The house evaluated that there were not any technical interventions to consider. 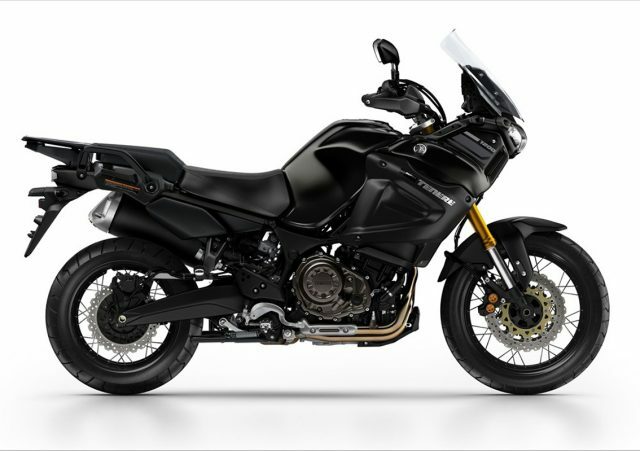 Always competitive price, spot on formula, three cylinders that work well at supporting a riding style and perfect bike geometry for tourism. No considerable changes for 2017 if not for some details and a new choice of colours.